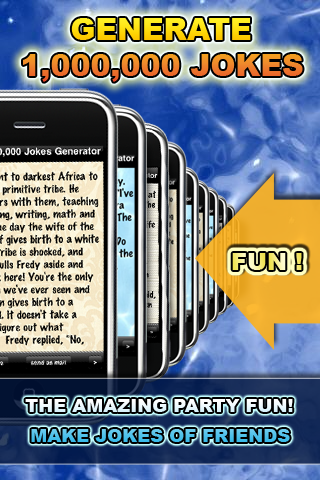 Get the amazing "1,000,000 Jokes Generator" which can generate personalized jokes of whomever you want. Generate jokes of your friends and read them at the next party or send them via email to them or other friends. Download now and have fun with your friends.